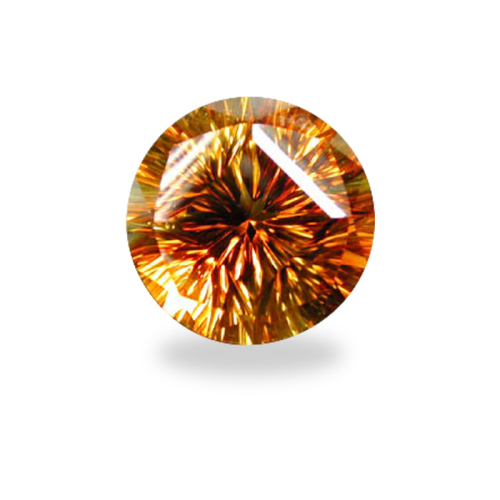 Large and very bright gem in a signature, trademarked design! Sold by: Gems By Design, Inc.
Large and very bright gem in a signature, trademarked design! There are 4 concave crown facets at just the right elevation angle and curvature so that each one focuses on the pavilion’s radiating culet pattern; permitting the view to see 5 culet patterns faceup!! (one in the table which is traditionally all that one sees…not in this one!) A glorious gem with brilliance flashing from a distance from all angles of observation as the body moves about!